Dr. Bernard Borosky graduated the medical school of Georgetown University School of Medicine and did his internship at Walter Reed Army Medical Center. He completed two residency programs, one at Fitzsimons Army Medical Center and one at Walter Reed Army Medical Center. Dr. Borosky is specialized in Radiology and board certified in Diagnostic Radiology. 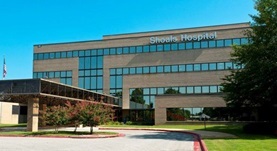 He has been in practice for more than 20 years and is affiliated with Shoals Hospital. During his career, he has also contributed to one publication of medical interest. Dr. Bernard Borosky has contributed to 1 publications. Correlation of liver density by magnetic resonance imaging and hepatic iron levels. A noninvasive means to exclude homozygous hemochromatosis. Lawrence, S. P., Caminer, S. J., Yavorski, R. T., Borosky, B. D., Rak, K. M., Merenich, J. A., McDermott, M. T., McNally, P. R.; J Clin Gastroenterol. 1996 Sep.